Pick-up at the International Airport and transfer to your hotel. Afternoon on your own to relax in the facilities of beach side hotel. Dinner at choice of restaurants in the hotel is included. Day 2 Buena Vista Mega Combo Tour. Buena Vista Mega Combo Tour. Full day. Buena Vista Mega Combo is developed in a tropical paradise full of adventure, adrenaline, relaxation, environmental protection & culture. We offer you the best and most complete mega combo tour of Costa Rica that includes: canopy or hanging dots, spring waters of natural origin in Rincón de la Vieja, visit to the salitral waterfall, the water slide in the montala Costa’s largest Rich in tropical forest mountain of Costa Rica. Over the years, it is the water slide of the jungle, as many of our visitors have called it; A delicious buffet with the best of Costa Rican cuisine, made with local, organic products, under the essential principles of sustainability; And the fonda, a typical ranch with oven of mud and fire of the Guanacaste culture, where you can learn and taste the best recipes of the town. To go to the hot springs, the means of transport is the tractor which makes the tour an adventure. Coco Beach is a small town full of character only 20 minutes from the hotel. Today, spend free time at the hotel on your own to enjoy the Hotel amenities. (Optional activity: you can book a sea cruise). Transfer to the Arenal cloud Volcano; you will have the opportunity to observe some of the most picturesque landscapes of the country. The tour includes the Arenal Volcano Spa and Resort and a visit to the thermal waters at Tabacón Resort. 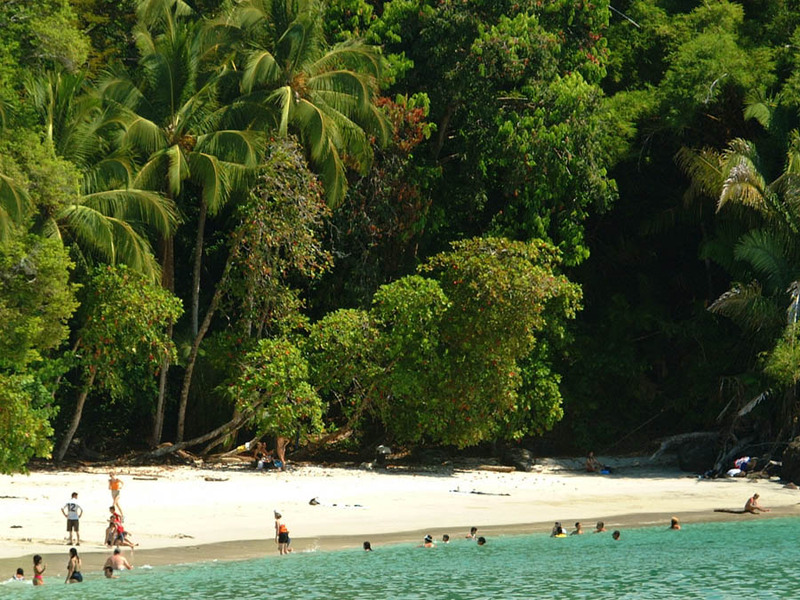 NOTE: Amiri Travel is *not responsible * for any optional tours purchased by passengers in Costa rica. 60-31 days prior to departure: 50% of cost. VIP Reception at the International Airport. Most meals and alcoholic & non- alcoholic beverages. Hotel shows on 4 nights. Transfers as detailed in Itinerary. Meals as detailed in Itinerary. Tips for our local tour guides, bus driver, and Bell Boy. Miravalles, the dormant and sleeping volcano in Costa Rica last woke up in 1946. Legend has it that St. Valentine himself was responsible for taming the mighty Miravalles and making it quiet. The roots of the story go back to Saeed Vali, a young Caucasian boy who grew up on the southern part of the island. Saeed Vali had his distant origins in the Aegean Sea region. Today we commonly know this area as the Caucasus, which is our modern day Turkey, Azerbaijan, and northwestern Iran. Saeed Vali was a young baker working in his father’s bakery, which was established by his great-great-great grandfather at the time of the Bourbon royal family which ruled the island. The bakery exclusively sold bread to the rich and the ruling royal family. The island was none other than Sicily. thank you for the bread Saint Vali." The story of our own Saeed Vali, better known as Saint Vali, continues all the way to Costa Rica. After the great suffering and the German occupation during the Second World War and searching for a better life, Saeed Vali migrated to the little town of La Fortuna located at the base of Miravalles Volcano in Costa Rica. Welcoming the saint, Mount Miravalles that year decided to erupt after being asleep for over a thousand years. The legend is that Saint Vali made a giant loaf of bread as an offering to Mount Miravalles and distributed the bread amongst the poor. That was in 1946. Since then there have been no more eruptions and that adds to the legend of Saint Vali who is locally known as Saint Valentino. Today the whole area is famously known for its healing hot springs and beautiful waterfalls. Needless to say it was none other than our own Saeed Vali or Saint Vali, dearly adored today as Saint Valentino, who has kept the mighty Miravalles dormant as she continues to sleep. Amiri Travel pays special respect and homage to the legend of 'Saeed Vali' on every trip to Costa Rica. In celebration of 'Saint Valentino', we have organized a 6-day getaway offering an exceptional opportunity to rest, restore and rejuvenate at an incredible price. This is on a “first come, first served” basis with very limited space still available. Book this exceptional holiday today before it’s all gone. The Legend of ‘Saeed Vali’, The Legend of 'Saint Vali' copyright© 2017 by Massimo Allen. All rights reserved. No part of this story may be reproduced in any form or by any electronic or mechanical means, including information storage and retrieval systems, without permission in writing from the copyright holder, except by a reviewer who may quote brief passages in a review.